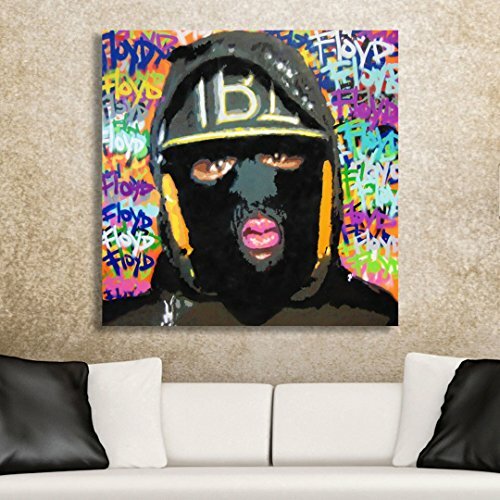 "The Heist" is sure to steal the attention of your guests when they enter the room. This LIMITED EDITION PRINT is hand-signed by the artist, Spencer Couture, and is one of only 500 produced. Your edition information will be included on your print and you will be registered as the verified owner to guarantee authenticity. Our 1.5 inch thick hand-splined premium cotton canvases have minimal staples on the back, no bulky corner folds, and hang tight to the wall. We use the highest quality printers and environmentally friendly, odorless, latex ink. "The Heist" will NOT be sold in stores and will sell out. LIMITED EDITION print hand-signed by the artist, Spencer Couture. One of only 500 produced. Your edition information will be included on your print and you will be registered as the verified owner to guarantee authenticity. PREMIUM COTTON CANVAS with no bulky corner folds and minimal staples on the back. HIGH-QUALITY, environmentally friendly, odorless, latex ink. 100% SATISFACTION GUARANTEE allows you to return the painting within 7 days. If you have any questions about this product by Spencer Couture Art, contact us by completing and submitting the form below. If you are looking for a specif part number, please include it with your message.